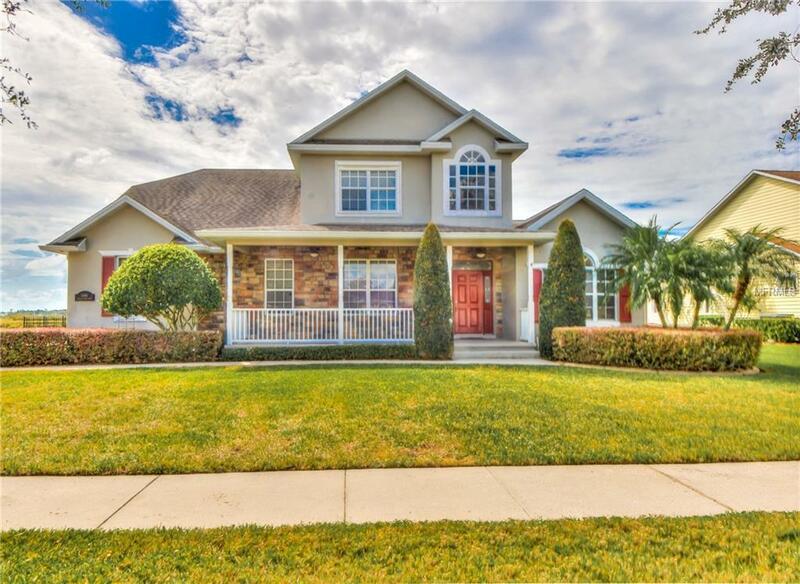 Custom built home in a small gated community, of only approximately 31 homes. 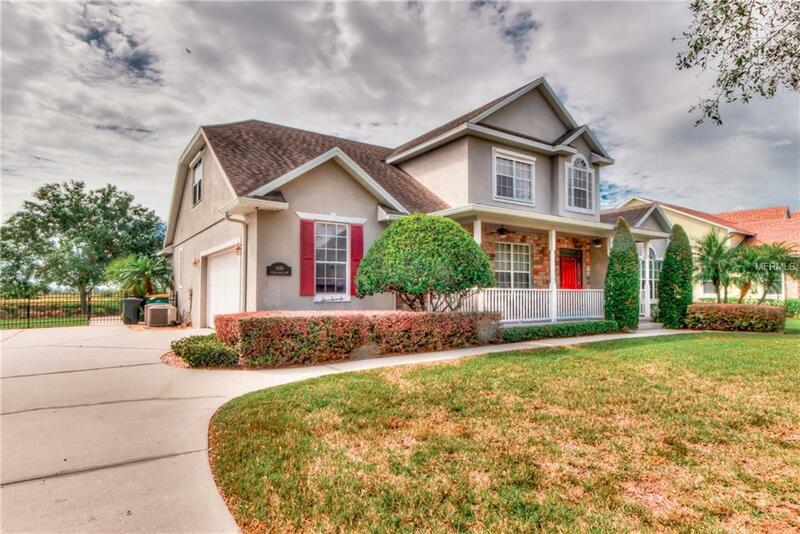 There is a pond just down from the home that you can enjoy from the front porch and a fresh water canal that leads into Lake Toho ,behind the home.Enjoy relaxing evening from your back porch or enjoy a swim in the heated pool. There is quite a bit of space in this home. You have 2 bedrooms downstairs, as well as 2 upstairs. There is a large bonus room upstairs for an additional space, to use however you like. 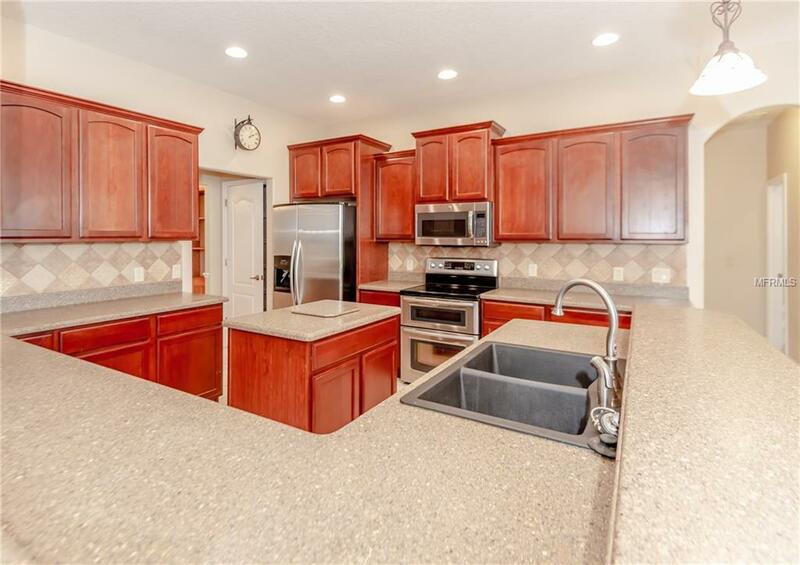 Features include a gourmet kitchen with corian counter tops ,stainless steel appliances,custom cabinets and a central vacuum. Another bonus feature is a large pantry with customized shelving. There is a built-in custom hutch with open shelves on top and cabinets at the bottom ,for additional storage, located in the dining room. Enjoy the surround sound in the living room with custom built-in media unit. 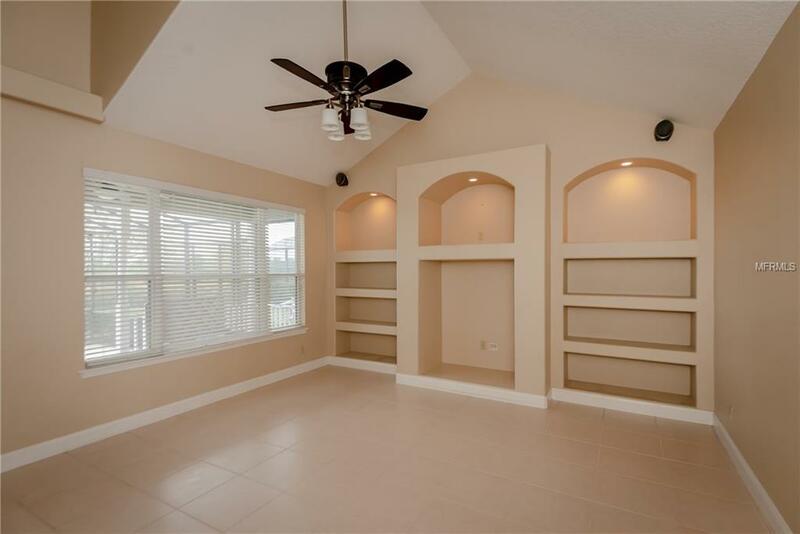 There are stunning built-in closet organizer's in the master bedroom closet and closet in upstairs bedroom. There are so many features in this home, you have to see for yourself. Among the many features already noted ,there is a termite baiting system,custom storm panels for the windows and amazing shelving throughout the garage.